England to New Zealand By Motorcycle!!! 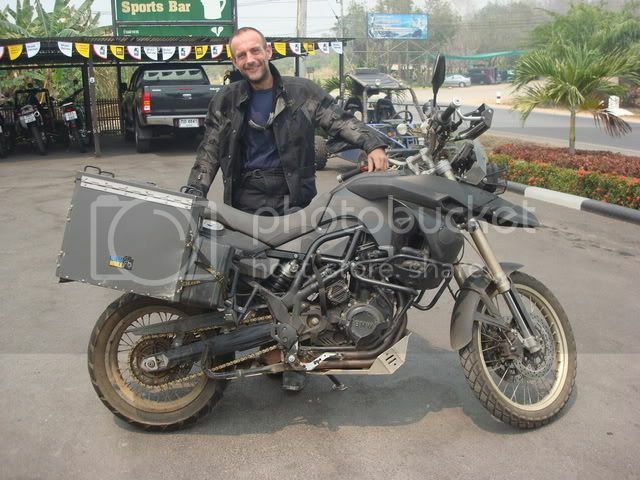 He received one of the First F800GS delivered to the UK and started out about a Year ago. Has covered 43.500 kms so far and to My amazement has Never had a Flat Tyre and is Still on the Original Brake Pads, Replaced the Chain at 40.000 kms though. Had one Major Crash in Romania and Hit a Bridge Railing which Bent His Forks so lost a week or more waiting for Repairs. His Front Wheel was Knackered after Pakistan so Replaced it with an Africa Twin Outer Rim in Singapore for $125 Sing! Here He is With His Bike. It is Actually an Orange Bike But He Covered it with Black Tape to Cover the Name etc so He would Attract Less attention going through Places Like Pakistan and India as He was getting Mobbed!!! Ian is a Nurse and Plans to Work in New Zealand once He arrives before heading on to South America for more Motorcycling Adventures!!! Here Is Ian Leaving the X-Centre and Continuing His Journey! He Plans on Leaving CM up to the Golden Triangle then Into Laos etc. All the Best Mate!!! 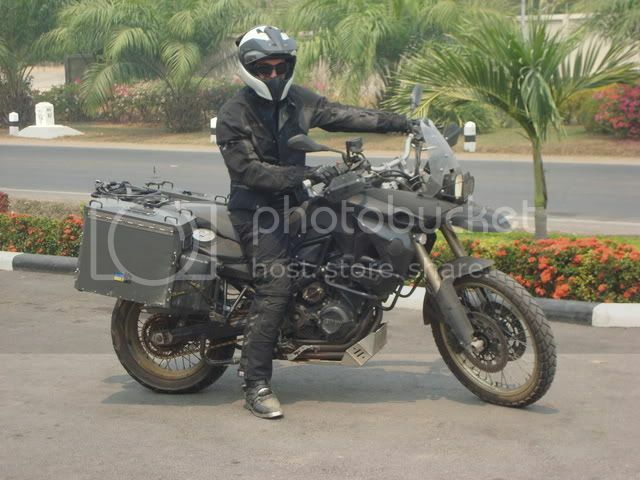 He Possibly has given the New F800GS the Ultimate Test done So Far and Possibly Put the Most Mileage on one. Good On You! ← Previous Story The Big Guys Visit!!! Next Story → New Paintball!!! Nice to have met Ian at the X-Centre too and if you are reading this Ian, I hope the BM and your travels are going well. hi ian i hope you continue your journey tu australia…. thank you for your gift….